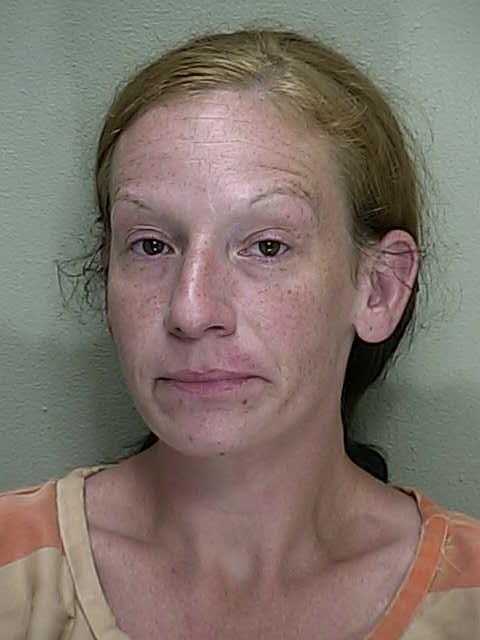 Ocala, Florida—The Ocala Police Department arrested a woman who left her child behind when confronted over stolen merchandise at the Wal-Mart, located at 4980 East Silver Springs Boulevard. According to reports, a Wal-Mart loss prevention officer witnessed a woman, later identified as Kelly L. Wevodau, 35, putting merchandise into a large flat purse. Surveillance showed Wevodau, with a small child, stole items from several departments within the store. Wevodau, after filling the purse and attempting to exit, was then met by loss prevention. At first, Wevodau cooperated, but then she dropped the purse and took off running, at which time she left her child behind. According to reports, the child was screaming and crying. Wevodau was then caught and arrested. She was charged with Child Neglect and Retail Theft. Wevodau has previous arrests for Domestic Battery, Retail Theft, Possession of Drug Paraphernalia, Dealing in Stolen Property, and Fraud-Pawn Brokering. She is currently being held on $6,000 bond. The Department of Children and Families was notified by police.